Hugo Lloris will miss France's first two Nations League fixtures with a thigh injury. 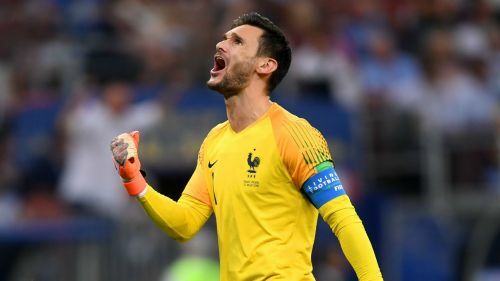 The Tottenham goalkeeper was ruled out of this week's matches against Germany and Netherlands after meeting with Les Bleus medical staff at Clairefontaine on Monday. Didier Deschamps was waiting on a fitness update following his captain's withdrawal from Spurs' 2-1 weekend loss at Watford. Uncapped Montpellier keeper Benjamin Lecomte has been called up to replace Lloris, whose regular deputy, Steve Mandanda, is also unavailable through injury. Alphonse Areola is expected to take over in goal for Thursday's meeting with Germany in Munich, which marks France's first appearance since winning the World Cup in July. Bordeaux's Benoit Costil is the other option in Deschamps' 23-man squad.